Gangneung is the largest city in Gangwon province. Its a small city but have modern attraction and surely a good place to stay if you are in search for place to linger with experience that off beaten track without being too country sideGangneung beautiful layout right by the sea, its location right between east sea and taebaek mountain range advantages for various kind of activities. Gangneung also boast as center of winter sport for the next 2018 winter olympic. 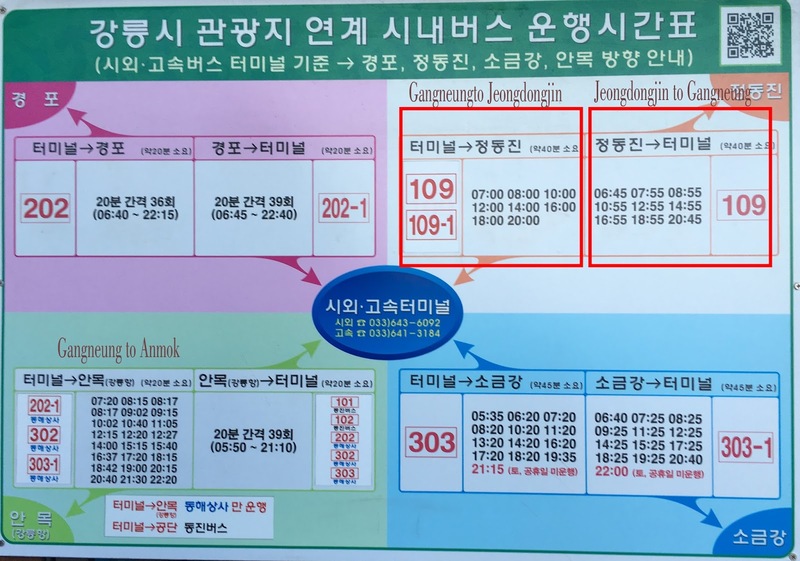 Here are the to-do list if you are planning to visit gangneung. Chodang dubu village in Gangneung is famous for its sundubu, if you ever tried the sundubu in the seoul or other area in Korea, then you must try sundubu in Gangneung! Its tasty, soft, and flavoursome! Memil, is the another type of korean pancake that made out of buckwheat. Honestly i don't expect much when i tried it first but in the end i like it >.< to bad still haven't find good place incheon and seoul sells good memil. Here is gangneung people are so passionate about coffee, they love coffee so much. In gangneung coffee street, you can find numerous artisan coffee shop. They are all masters in roasting, grinding, dripping, and brewing coffeebean. Its pretty good to spend sometime, sits by the window and enjoy the view of anmok beach from the cafe. Jeongdongjin beach known as the prime location for catching the sun first rays. Many of koreans came from faraway only to watch this phenomena everyday in the morning. Its quite cold in the winter but belive me the view is worth to see. the time museum and morae sigye park located near jeongdongjin beach. this museum have lot of scuplture and history related to time or watch. This unique museum was actually an old train that remodelled into the museum. Pyeongchang is a good place for paragliding destination due to the altitude of Jangam and Balwang Mountain that rising 700m above the sea level make it the best choice for paragliding lovers. Even if you never tried this leisure sports before, you dont need to hesitate because they have tandem paragliding system which means you will fly together with the experienced paragliding instructors. 6. Afordable yet comfy Guest House. Most of the hostel in this area charges 15000-25000 for single person per night. They even provide toothbrush, separate powder room, shower amenities and towels. The amenities offered will be different from every guest house. The pyeongchang house serve as the showroom for games preparation and teaching the olympic values to the visitors. You can experience 4d winter games or using the virtual reality system provides at the venue to feel the excitement of the olympic.